During the final stages of the audio production, the audio engineers focus on audio mastering; this is done to enhance the quality of the audio mix and make sure the sound is of professional quality. Audio mastering is the art of eradicating any errors and using strategic techniques to ensure the production is of a very high quality. What is the Process of Audio Mastering? In the final stages of production, the audio engineer will check for mixing errors, once these have been rectified, then he will focus on bringing the production’s audio levels to that of acceptable for commercial use – during this process, the audio engineer will eliminate any ugly noise in the production. In order to get the sound level right, the audio engineer will need to determine an acceptable level and judge the frequency of the spectrum; effectively making sure the recording isn’t too sharp or too thin. He needs to ensure there is an equal balance between the low, medium and high frequencies. Once he finds this balance, the audio engineer will then use a multiband compressor in order to correct the dynamics of the audio production. He will then assess the reverberation, and finally the overtones. Once all these corrections have been made, and the audio production is of a certain quality, the audio engineer will send it out to the client. The audio mastering is just the final phase of the audio production, and usually one that often can’t be performed in the office. A professional audio production is worth the investment, as you are investing in a quality piece of marketing material that has been produced for commercial use. Media Sound is a professional audio production company based on the Gold Coast, and not only do our audio engineers weave their magic to produce the highest quality audio productions for your audio advertising campaign, but our audio scriptwriters will write you a compelling script, and our professional voice artists will bring it to life. 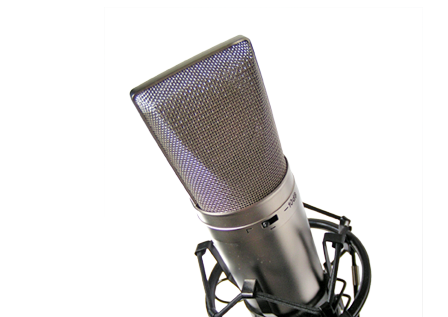 Call us today and stand out from the crowd with our professional audio production services. Call 1300 736 465. This entry was posted in Audio Production, Media Sound, Technology. Bookmark the permalink.